In our recent blog about the cost of going solar, we explained that one of the biggest drivers of cost is the number of panels in the system. But how many solar panels do you need? The number of solar panels you will need for your home depends on three main factors: (1) The amount of energy you use / how much of it you want to offset, (2) the orientation and shading of your roof, and (3) the wattage of the panels you choose. We often hear the question, “my house is 1,500 square feet – how many panels do I need?” But, square footage isn’t the key factor in answering this question. Instead, it’s electricity usage that matters. And while it’s often true that larger homes use more energy than smaller homes, this is only true on average. This is why to begin understanding how many solar panels you’ll need, we need to look at the total energy usage of your home (and not the square footage). 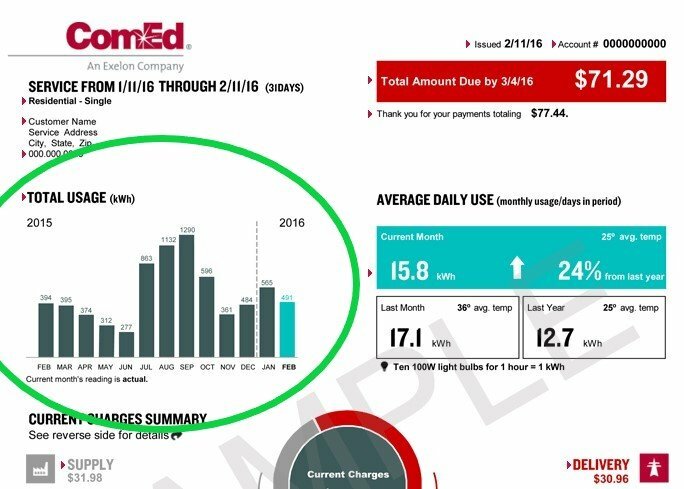 To find out how much energy your home uses, all we need to do is take a look at the bar chart on your ComEd bill that shows your actual usage over the past 12 months. Once we know how much energy you use, we have the first piece of the puzzle to figure out how many panels you need. The next step is to understand your roof’s unique characteristics. Once we know how much energy you use, we can evaluate which parts of your roof are best for solar panels. We’ll do this design work before we meet with you in your home. Orientation to the sun, roof slope, and shading from any nearby trees or structures are all factors that determine the productivity of any particular part of your roof and thereby influence how many panels you will need to produce enough energy for your home. Once you know your production needs as well as where the most productive parts of your roof are located, the number of panels you need still depends on one more thing: the wattage of the panels. More watts produce more energy, all other factors held constant. Thus, higher wattage panels enable you to squeeze more production out of less space. 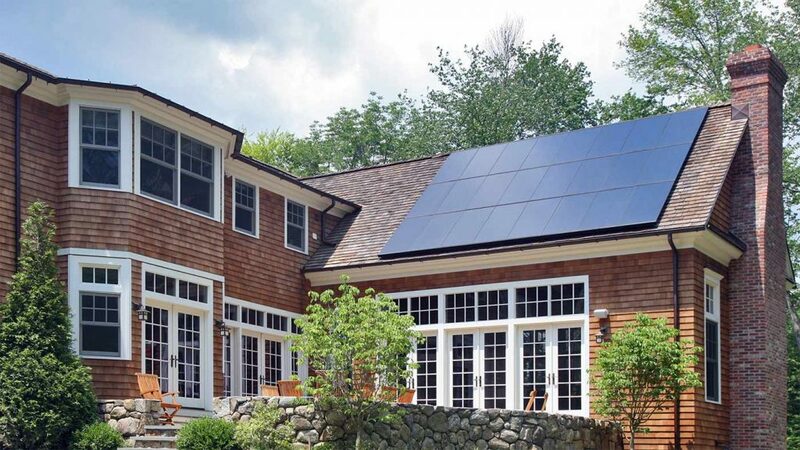 Certasun will make it easy for you to pick a solar option that meet your needs. By meeting with a Certasun expert in your home, you can take a lot of the guesswork out of this process and arrive at an answer that makes sense to you. Plus, our digital design tool allows you and the solar consultant to easily customize the design right on the spot so we can create the right system for you in just one home visit. To get started with your free home consultation, simply fill out the form below.